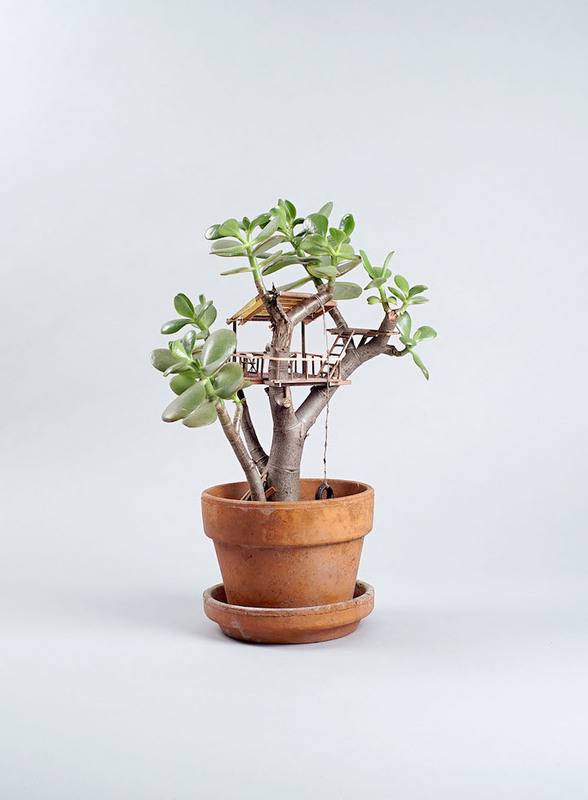 Potted plants become hosts for miniature treehouses filled with tiny furniture, ladders and figurines, each one unique, built around the branches of a cactus or jade plant as if it’s a full-sized tree. 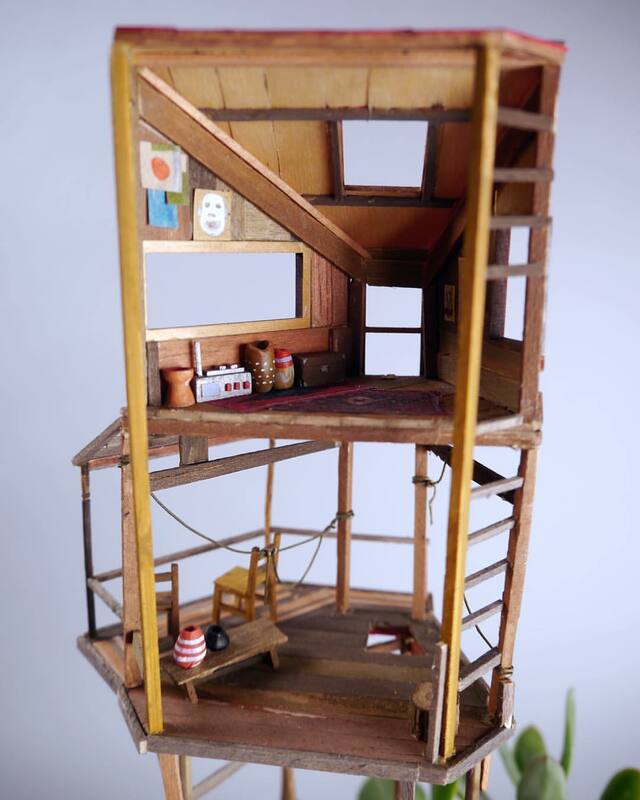 These intriguing little scenes make us lean in closer to examine scaled-down worlds, wishing we could shrink ourselves to hang out in the complex wooden structures, enjoying their precarious platforms and even postage-stamp-sized works of art on the walls. 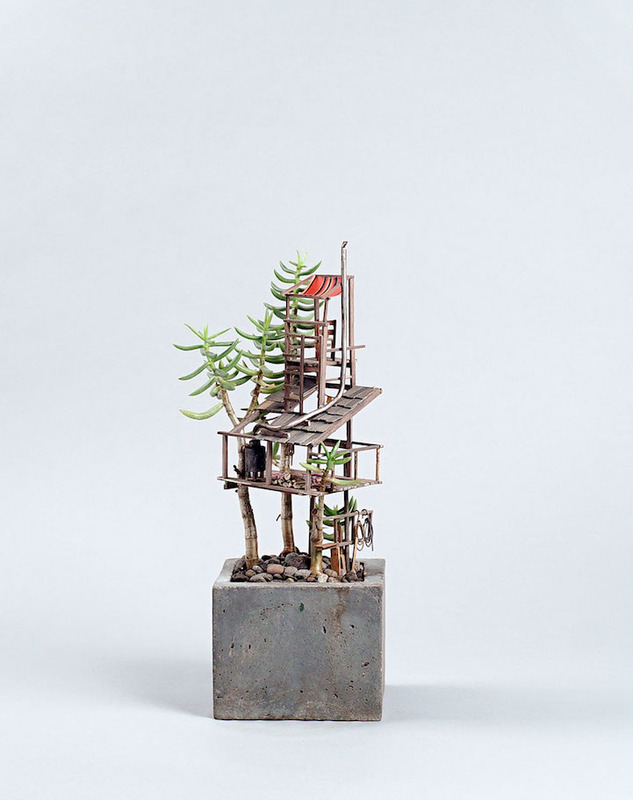 Artist Jedediah Corwyn Voltz selects potted plants and bonsai that mimic the shapes of real trees and then builds his haphazard little structures around them, making each one unique. 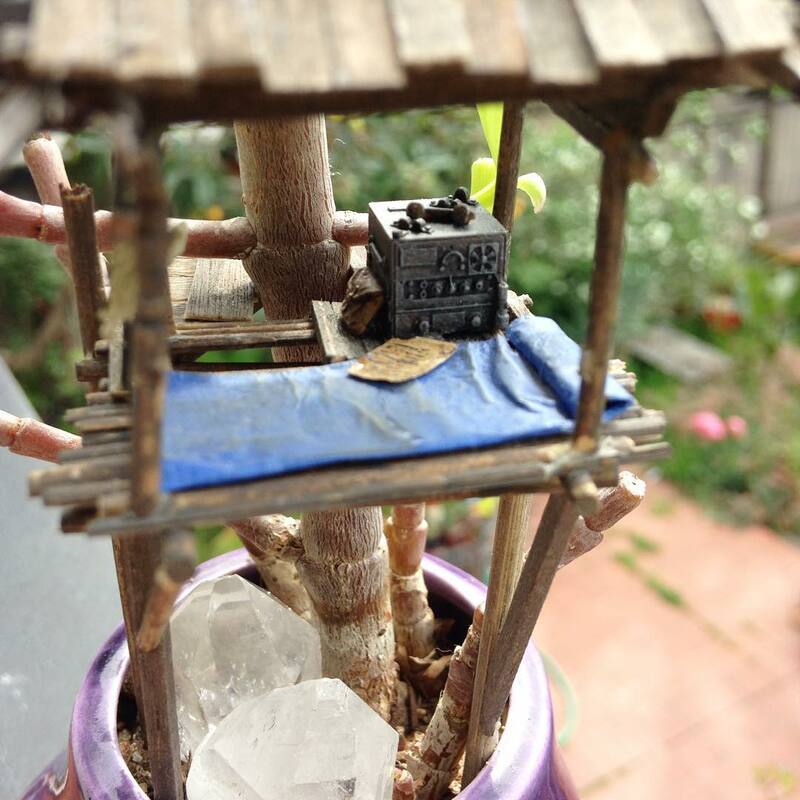 His decade of experience in commercial prop making for movies is evident when you look at the attention to detail inside each miniature treehouse, from the painted ceramics on the tables to the colorful patterned rugs. 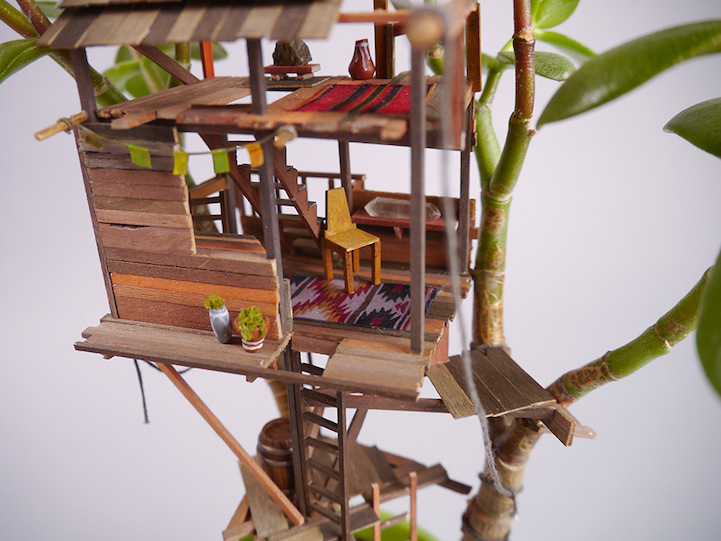 Using different shades and types of wood for the miniatures lends them a sense of authenticity, so they look just as DIY as the average backyard treehouse. 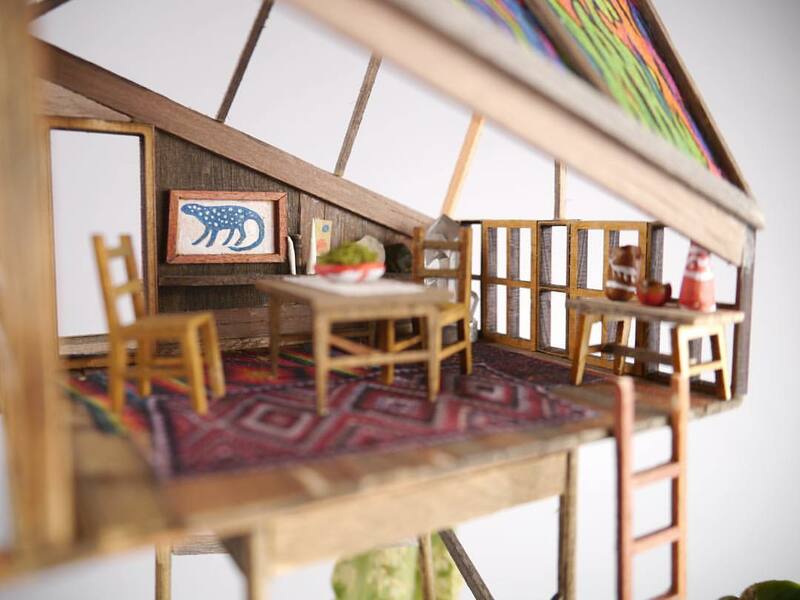 Non-matching scavenged materials, tiny flags, uneven handrails, dome skylights and working windmills recall the heyday of hippie cabins in 1970s Northern California. 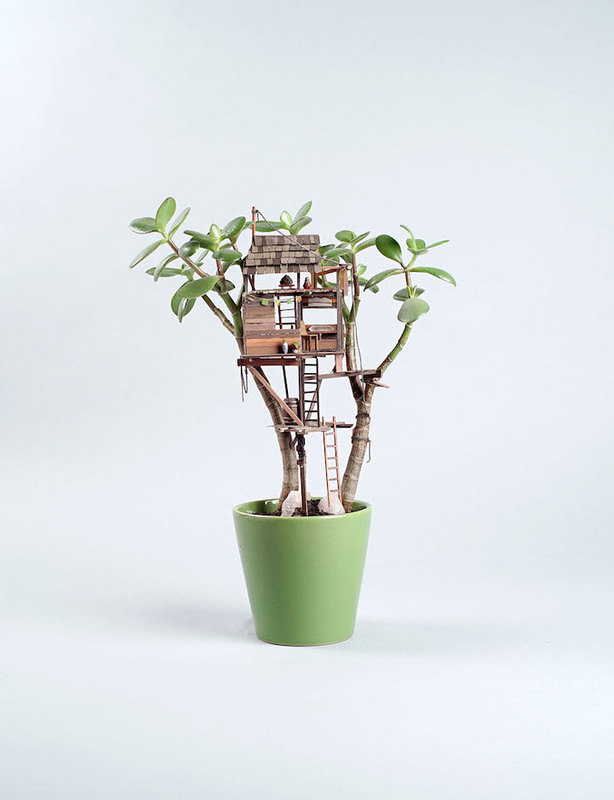 Entitled ‘Somewhere Small,’ the series is currently available for viewing and purchase at the Virgil Normal shop in Los Angeles.